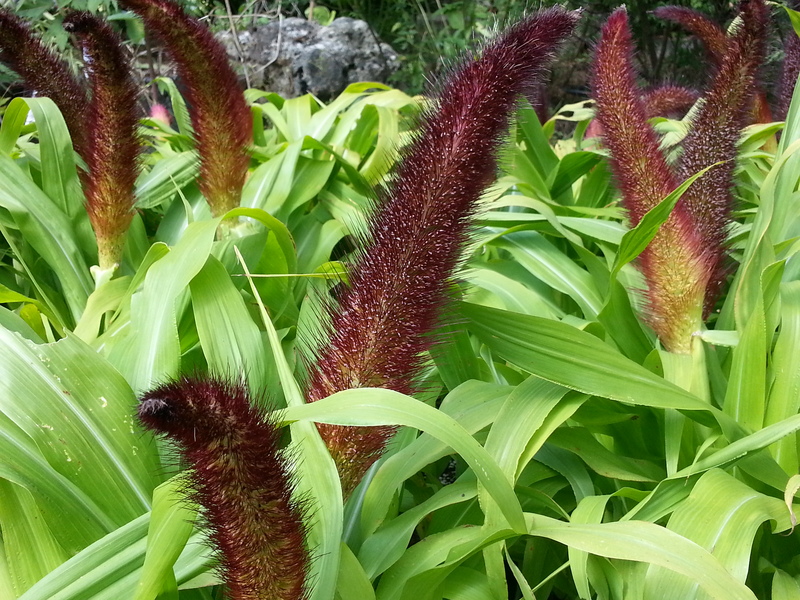 I am absolutely in love with this ornamental millet (Pennisetum glaucum), ‘Jade Princess’. It’s an annual grass with bright lime-green leaves and wonderful pink-burgundy heads that are apparently free of pollen. Not so great for bees but definitely a plus for those with allergies. It only stands three to four feet tall, which makes it a great choice for containers and less prone to flopping. You also won’t need to be worrying about watering all the time as it’s very drought tolerant and prefers to be on the drier side. You could use it as a stand-alone in an urn or mix it with flowering cabbage, mums and other fall-blooming plants. If you wanted to do something really dramatic, try a mass-planting to fill in an annual bed that’s starting to look a little tired. Birds love the seed heads and with the shorter height, they’ll be less likely to break. If you can, leave them up for the winter to keep your birds happy when food is a little more scarce. If you’ve used them in a container and want them out for a Christmas arrangement, just move them to any spot in the garden where they can fit. Since it’s an annual, you don’t have to worry about crowding your other plants. Of course, you could also take the dried seed heads and paint them with floral paint to use in your winter containers. 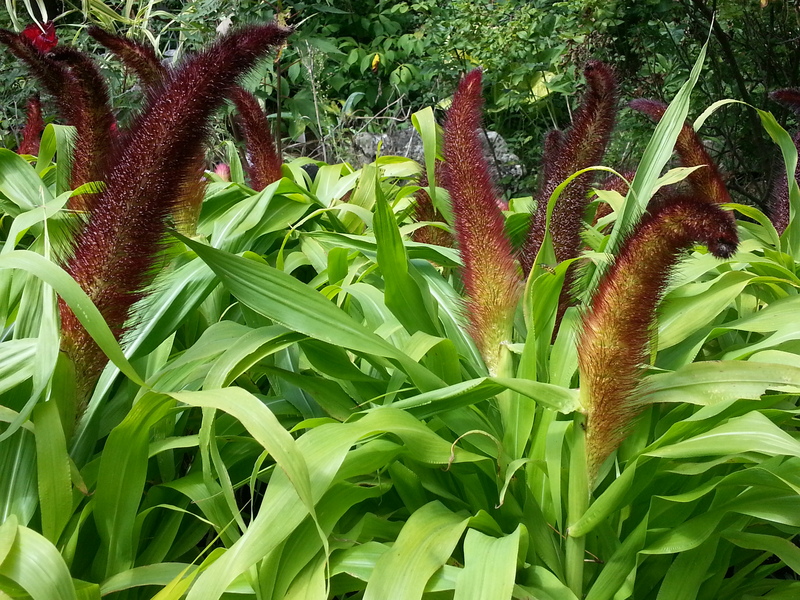 This entry was posted in Plant Focus and tagged bird seed, fall, fall containers, Jade Princess, Millet, ornamental millet. Bookmark the permalink.